Actually, we've never had cranberry cheese bread. This was just on the same page as the nut bread recipe, and we thought, why not - somebody might want to try it sometime. 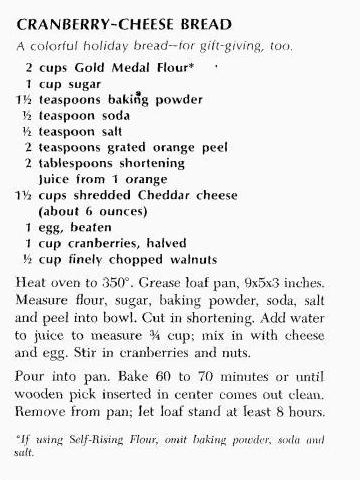 From Betty Crocker's Cookbook, Seventh Printing, 1971, reproduced in violation of copyright by General Mills, Inc.
Usually we go for the banana nut bread variation. 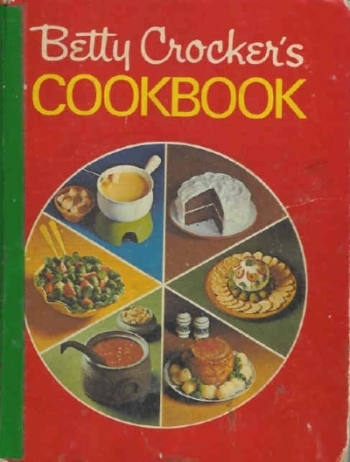 This cookbook has been in the home since 1971. When in doubt, RTFM. Seventh Printing, 1971. Copyright 1969 by General Mills, Inc. Published by Golden Press, New York. Library of Congress Catalog Card Number: 69-18834.